Situated on a large double lot, this super sharp 2 bedroom home in Peoria Heights is listed at a great price! Updates include new flooring, furnace, siding, windows, water heater, updated kitchen cabinets, and lighting! Lots of space in the rear yard to enjoy from the rear deck off the master bedroom! 1 car detached garage! So many amenities nearby including downtown Peoria Heights with all of it’s restaurants and shops, and close to Rock Island Trail! Own for less than rent! 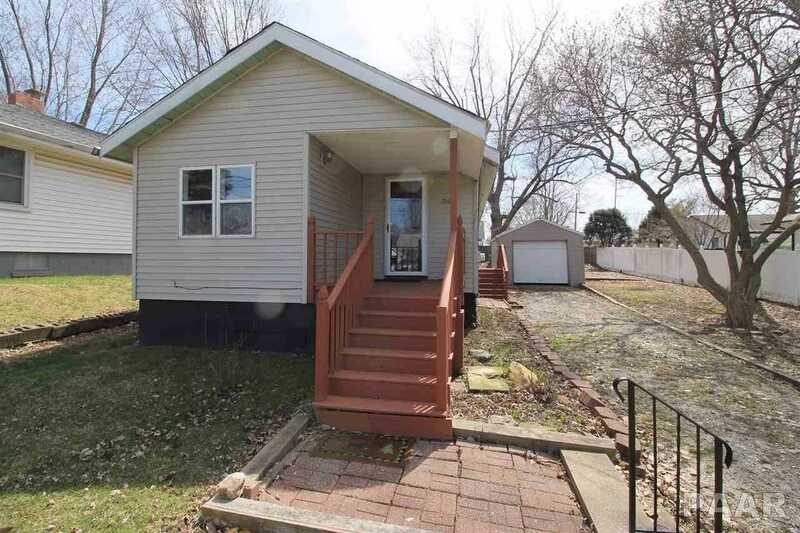 Please, send me more information on this property: MLS# PA1203702 – $64,900 – 706 E Toledo Avenue, Peoria Heights, IL 61616. I would like to schedule a showing appointment for this property: MLS# PA1203702 – $64,900 – 706 E Toledo Avenue, Peoria Heights, IL 61616.